Nanolive is happy to announce their first label-free live cell imaging Nordic Tour this year! The tour will start off in Copenhagen on March 4th at the University of Copenhagen & The Herlev Hospital. 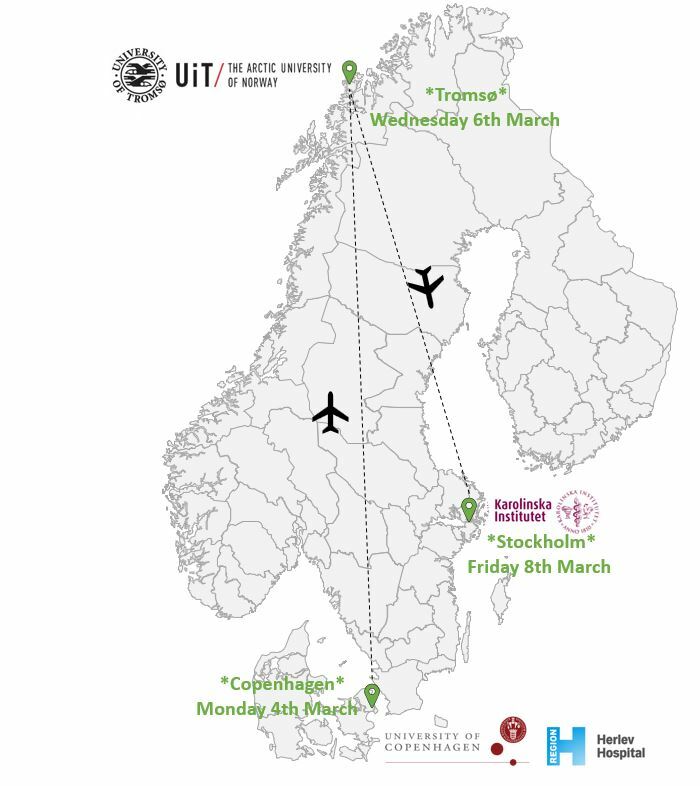 We will then dress up very warm and fly to Tromsø to the Artic University of Norway (UiT) on March 6th. The tour ends with the installation of the 3D Cell Explorer at the Karolinska Institutet & the SciLifeLab in Stockholm on March 8th. Björn Önfelt from the Science for Life Laboratory (SciLife Lab) was awarded with a 6-months free loan of the 3D Cell Explorer for his study aimed to get new insights in immune cell cytotoxicity. Read about the winner and the runner’s up of the “Label-free Award 2018” here.